​When you have crumbling retention walls, damaged exterior steps, or need to maintain your patio, you might not know what service provider to hire. You may consider a cheap general contractor who offers masonry repair, even though they don’t excel at it. Instead, you should hire the masonry contractors more Ft. Worth, TX homeowners turn to for all their maintenance and repair needs. At Brick Mason Fort Worth, we continue providing the best in complete masonry services, including tuckpointing, repointing, repairs, and more. Whichever types of repairs or maintenance solutions that your property requires, our skilled contractors remain the top choice for you every day. No other service provider offers the number of services or our level of care that you receive on every job. See why more residents turn to us for custom projects and a better quality of repairs every day. No one else achieves an expertly finished product than our talented contractors do each time. Chances are, your brick, stone, and other masonry materials will outlast anything else on your property. 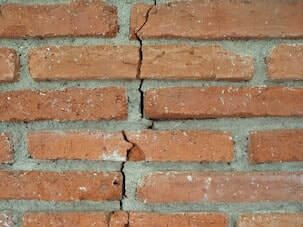 However, that usually means that the units used in construction have mortar between bricks that erode in the meantime. New tuckpointing is more straightforward to complete, making it a challenge to find a skilled team of contractors to offer repairs. When you have tuckpointing completed correctly, you can’t tell that work had taken place at all. Tuckpointing uses two different colors of mortar that not only keeps your surfaces bound together but creates less obvious seams in the process. Tuckpointing is an advanced masonry technique that only experienced professionals like ours can handle. Similar to tuckpointing, repointing focuses on lost masonry joints at the outer edges of walls and other surfaces. When they extremities disintegrate, it allows moisture, wind, and weather to damage the bricks, causing them to loosen and crumble. 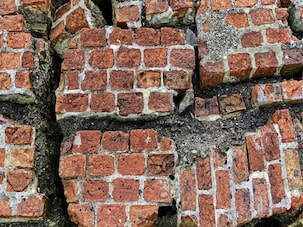 Mortar remains the glue that holds all of the other bricks and masonry units together. Without them staying in place, they can easily topple over from any number of hazards. Once the mortar wears away, nothing is protecting the blocks from moisture, mold and mildew, and other daily hazards. Repointing carefully replaces your deteriorated masonry joints, keeping it durable for years to come. 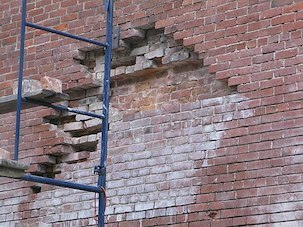 It might not seem like a problem now, but a masonry crack can quickly lead to structural issues. Unfortunately, many masonry contractors seem interested in new construction projects, as a repair is much more complicated to finish. Over time, bricks fall away from the rest of the wall, or the entire system collapses. If you depend on it for soil erosion protection or as siding, you can’t afford to ignore these maintenance concerns. Whether you have cracks, gaps, or destroyed blocks, we are here to help. 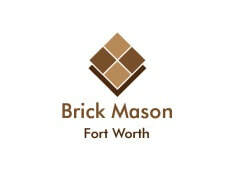 Contact Brick Mason Fort Worth now for the trusted choice in local repair solutions.